Broken MacBook Clasp? Call Apple! Whenever someone reports a problem that happens to be a hardware issue whether here or on the Apple Customer Support boards, the first thing I ask them is whether they have called up their local Apple Store or even an Apple Certified repair technician. Either of these places will have the hardware know-how, the ability to perform the requisite labour as well as be capable of getting you the exact part that your computer is missing. When it comes to smaller items such as clasps as well as any of the parts or even the camera, it is a wise decision to go to the Apple Store and get it repaired since there is a slim chance that you’ll find those components somewhere else for cheap. The latch is a quick fix and the staff at the Apple Store will usually return the computer back to you on the same day. Do You Still Have Apple Care? Since you are looking to get the clasp of your MacBook Pro replaced, I would hazard a guess that you aren’t talking about one of the recent unibody MacBook Pro models but are instead about the ones that were sold before this current generation. If that is the case then you should check to see if you still have Apple Care. Since it has been more than two years that the MacBook Pro line with the clasps was discontinued, it is highly unlikely that Apple will cover the broken clasp for you unless you already have the extended Apple Care Protection Plan on your Macbook in place. This may seem like a major problem but it is good news that clasps are cheap to replace. The left clasp of one of my friend’s MacBook Pro came apart a year back and it only cost her $55 to get it replaced. Unless you’re tech savvy, good with hardware and have steady hands, I wouldn’t recommend that you try doing something like that by yourself. Even if you are the tech world equivalent of MacGyver, there is the problem of procuring a clasp for your computer. I have tried eBay, Amazon and pretty much every other vendor that is known to supply the Mac community with various hardware parts and I am yet to find one selling the clasp. You could however have a look at this video here of a user showing you what you can do if your latch doesn’t hold the screen when it is closed. What part of the clasp is broken? 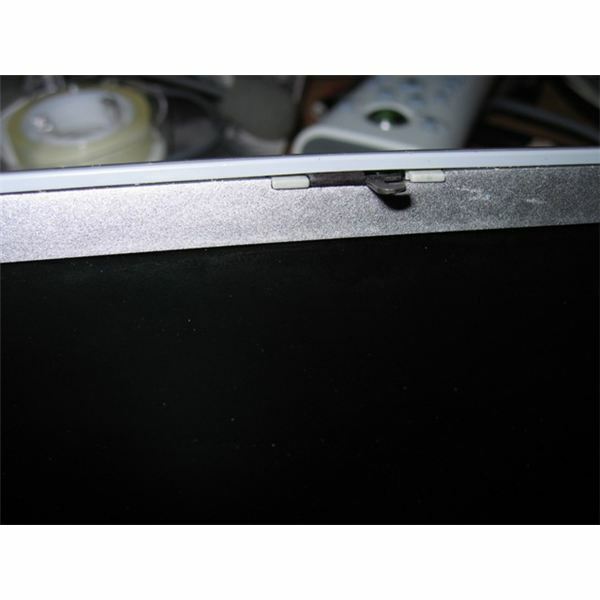 It helps to know whether the hinge of the clasp has broken or if there is a problem with the laptop’s catch not being able to hold the clasp or if the clasp doesn’t engage like in the video above or if the clasp’s unit itself is broken. It will help you explain the problem to Apple Customer Care and will help then diagnose the problem faster.